The more companies jump onto the Chrome OS bandwagon, the more often Google adds new features and improvements to make it as appealing as possible to both OEMs and customers alike. At this year Google I/O, the Mountain View company recapped all the enhancements it added to Chrome OS since last year and offered a roadmap of what's to come. The most important improvements Google plans to add to Chrome OS by the end of the year, support for its virtual keyboard and Picture-in-Picture mode, are expected to arrive this fall. On Chrome OS, Gboard keyboard will offer users nifty features like stickers, emoji, as well as GIFs, just like it does on the Android phones and tablets. Moreover, Google confirmed that Chrome OS apps will be getting support for app shortcuts later this year. Also, the upcoming Chrome OS version 69 is supposed to include multi-channel USB, Audio, as well as Audio MMAP, which are meant to further enhance the platform's Pro Audio capabilities. 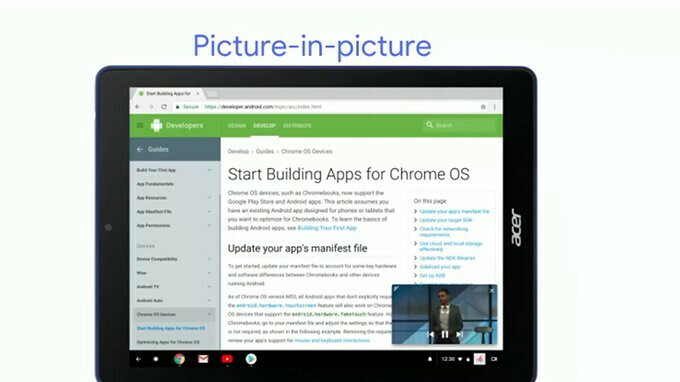 Last but not least, Google said that Android P for Chrome OS will bring support for Picture-in-Picture mode similar to what's already available on Android. 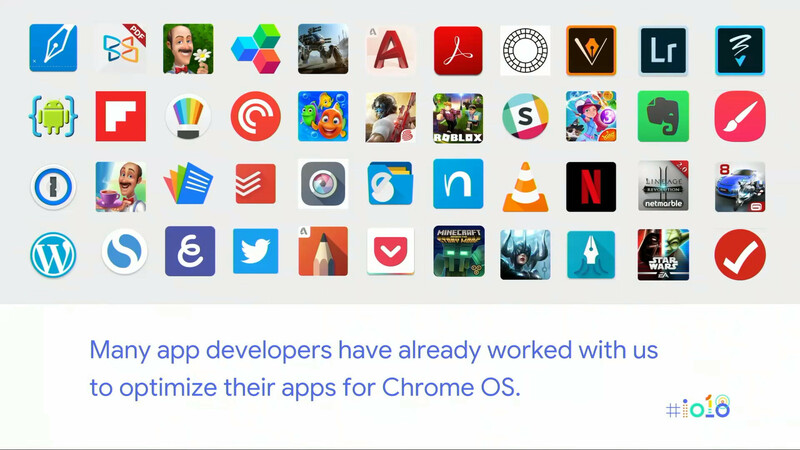 It looks like Google is investing quite a lot of resources in Chrome OS to assure its success, so I guess we'll see how it goes. Chrome OS is very compelling now especially with Linux app support. With Android studio coming to Chrome OS and more android apps being optimized for it now is a good time to get a Chromebook.